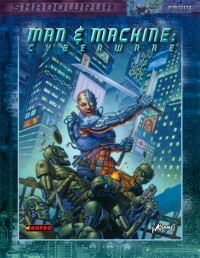 Man… or Monster?Cyberware can increase your speed, enhance your strength and sharpen your reflexes. It can put a computer in your head, armor under your skin and weapons in your arms. There are implants to improve every internal organ and devices that let you interface with machines… but you'd better know when to stop. Too much cyberware and you're a cyberzombie—more machine than man. 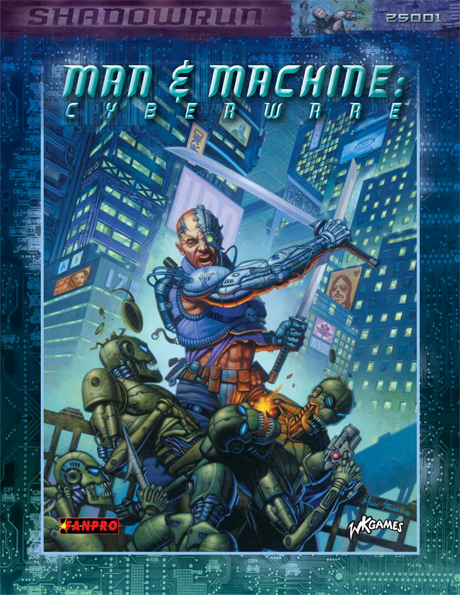 Man & Machine expands on the basic cybernetic gear offered in Shadowrun, Third Edition, and provides advanced rules for implanting, surgery, healing and damage. This sourcebook offers more than 200 new pieces of gear, features advancements in biotechnology and chemistry, and introduces nanotechnology.